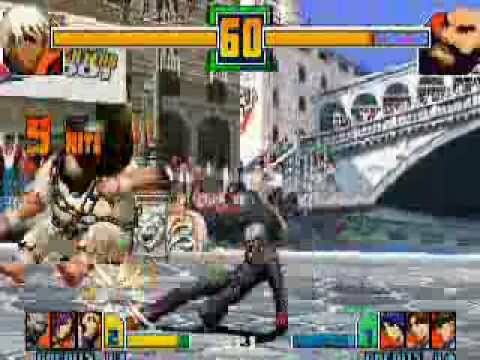 The King of Fighters 2001 is a 2001 competitive fighting game produced by Eolith for the Neo Geo. It is the eighth game in The King of Fighters series and the first game produced following the closure of the original SNK. The game was produced by the Korean-based company Eolith and developed by Brezzasoft, a company formed by former SNK employees. The game was ported to the Dreamcast and PlayStation 2. 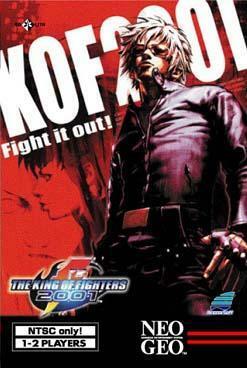 The stand-alone PlayStation 2 version was released in North America in a two-in-one bundle with the preceding game in the series, The King of Fighters 2000. Both, the original Neo Geo version and the Dreamcast version were included in The King of Fighters NESTS Hen compilation released for the PlayStation 2 in Japan. Like in the previous game, the battles are once again between teams of four. Instead of a strict "three fighters and one striker" format, this installment introduces the Tactical Order System, which allows the player to select which characters will they control in combat and which characters will serve as strikers. Before each match, the player can form a team configuration of four fighters and no strikers, to one fighter and three strikers. The number of strikers in one's team will affect the length and number of stocks of the player's Power Gauge. Teams with no strikers will have a longer Power Gauge to fill and can carry only one stock, while a team with only one fighter and three strikers will fill their Power Gauge quicker and carry up to four stocks. One stock can be used to summon a striker, perform a guard or super cancel, a blow-away attack, or a Super Special Move. MAX-level Super Special Moves requires two stocks to perform. Players can now cancel an attack into a Striker Summon with use of a Cancel Striker, while some characters now have Wire Whip techniques which will send an opponent flying into the air. and arrived at the other side. An entire city was wiped off the globe with the use of the satellite weapon, Zero Cannon, during King of Fighters 2000. This incident was reported to be the result of an artificial satellite crashing to earth, and adorned the front pages to various newspapers of countries all over the world. A legion of individuals called for the end to the KOF tournament which always invited some sort of accident, but ironically this fighting tournament with a bad history once again regained considerable popularity.